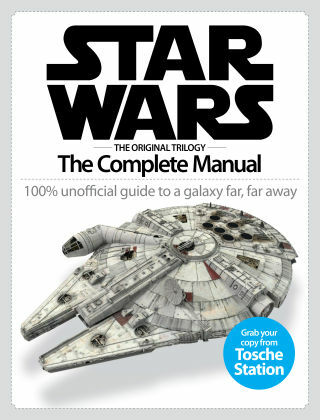 With Readly you can read Star Wars The Original Trilogy The Complete Manual and thousands of other magazines on your tablet and smartphone. Get access to all with just one subscription. New releases and back issues – all included. Here comes the latest instalment in the Complete Manual series: our guide to a galaxy far, far away. We celebrate the still-growing legacy of Star Wars and bask in the nostalgia the original trilogy has left behind with an inside look at one of cinema’s biggest and most loved franchises. From the first time the Millennium Falcon was taken out for a spin in A New Hope to Darth Vader’s declaration of fatherhood in The Empire Strikes Back, we count down the best of the best moments from Episodes IV-VI. It wouldn’t be a SciFiNow manual without Complete Guides, so we’ve included everything you need to know about A New Hope, The Empire Strikes Back and Return Of The Jedi.